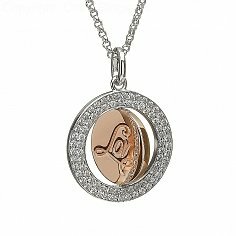 An oval locket shaped Sterling disc is accompanied with a rare Irish gold disc. The gold was mined ethically in County Tyrone, Ireland. 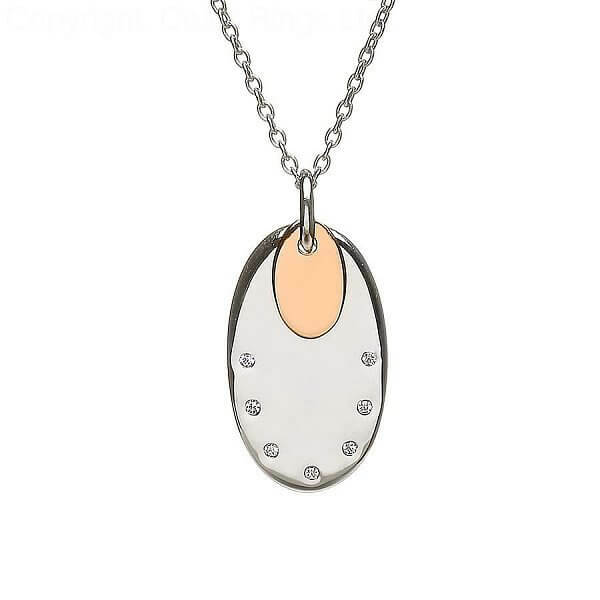 Seven sparkling cubic zirconia line the Sterling silver disc, making sure it catches the eye. 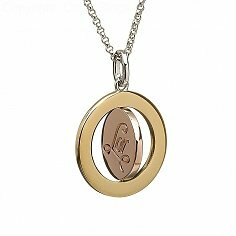 This unique pendant is presented in a crafted wood box and comes with a certificate of authenticity. Thoughtful gifts don't come any better than this.